We've created this blend for immediate use in raised beds, planter boxes, in ground and more. 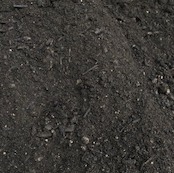 This is comprised of equal parts: Topsoil, 4 way blend and dirt hugger compost. This blend is considered user friendly for all projects, from grass seed to vegetable beds.